When is Brexit? What is Article 50 and could there be a second vote? The UK is currently a member of the European Union - a partnership of 28 member states from across Europe that are part of a trade and politics agreement. The group was established after the World War Two in a bid to foster trade relationships between nations. Within the EU exists the European Commission, European Parliament, European Council and the EU Court of Justice. In 1999 the EU established a monetary union, the eurozone. A referendum was held in the UK on June 23, 2016, to decide if the UK should remain in the EU. More than 30 million people voted with 51.9 per cent of people voting to leave and 48.1 per cent voting to remain. 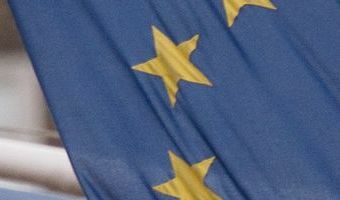 However some campaigners opposed to Brexi,t and others against the Government's favoured approach, have called for a "people's vote". What is Brexit? The term Brexit was coined during the lead up to the referendum. It has been used ever since as a shorthand term for 'British exit' from the EU. When are we leaving the EU? Prime Minister Theresa May … [Read more...] about When is Brexit? What is Article 50 and could there be a second vote? Across Borders: What is St. Martin’s Day and Why Do Europeans Celebrate it? The holiday began in France and spread to Great Britain, Scandinavia, Germany, and later Eastern Europe, and honours the life of St. Martin, who died on November 8, 397 AD and was widely considered a patron saint of the poor, children and homeless. Conversely, St. Martin's Day also marks the final moments of the agricultural harvest and slaughter of livestock and coincides with the Centenary of WWI Armistice Day this year, with many countries merging the celebrations in a mixture of poppies, wines and local traditions. 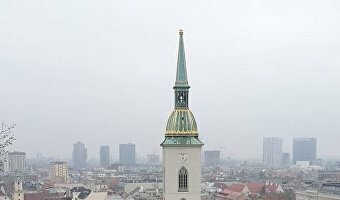 Sputnik travelled to Bratislava, Slovakia to learn about St. Martin's Day, a holiday with nearly two thousand years of history traversing boundaries, nations and epochs. St. Martin's and Remembrance Days: 100 Years Later A representative of St. Martin's Cathedral sat with Sputnik to discuss the significance of St. Martin's Day, including the cathedral bearing … [Read more...] about Across Borders: What is St. Martin’s Day and Why Do Europeans Celebrate it? Who is Stacey Abrams, what is the Georgia Democrat’s platform and what’s her Twitter? STACEY Abrams is the Minority Leader of the Georgia House of Representatives and is the Democratic nominee in the gubernatorial election. If she wins the race, Abrams will become the first black female governor in the US. Here's what we know about Stacey Abrams, Oprah Winfrey's pick in the election. Who is Stacey Abrams? Stacey Yvonne Abrams is the Minority Leader of the Georgia House of Representatives. She is running as the Democrat candidate for Governor of Georgia in the US midterm elections against Republican Brian Kemp. Abrams was born in Wisconsin in 1973 (aged 44) and moved to Atlanta as a child. Her parents are Methodist ministers and she has a sister called Leslie Abrams. Abrams has degrees from Spelman College, University of Texas and Yale Law School. She worked as a tax attorney, co-founded and served as the senior vice president of NOW Corp, co-founded Nourish Inc. and is the CEO of Sage Works. Abrams also has a career in writing, publishing articles on public policy, … [Read more...] about Who is Stacey Abrams, what is the Georgia Democrat’s platform and what’s her Twitter?